. rates . what to wear . makeup . final tip . 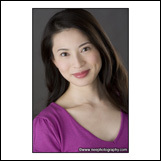 As an actor, your headshot is your calling card. It is the tool you use to get a casting agent to call you in for an audition; or if you're looking for representation--a talent agent to notice you and call you for an interview. For comedians, you not only need headshots, but promo shots for your promo kit. Make the best first impression. If you're a new actor or comedian; or it's been a while since you've had new headshots--or they're just not working for you, I can help. I offer competively priced sessions that can suit your budget. Trained in traditional film photography and studio lighting, I have been shooting digitally for over eight years. With digital, I shoot unlimited shots during our session. In the studio, my camera is connected to a video monitor so we immediately get to see the results, and whether your makeup and wardrobe are satisfactory. This eliminates any second guessing and the need to reshoot. 3 Looks, unlimited number of shots. We shoot until we're satisfied. Typically a 3 to 4 hours session. Women's should allow more time for your makeup changes (see MAKEUP below). I shoot with both indoor studio lighting and with natural light, sometimes a combination of both. On average, we'll shoot over 300 images, which allows you plenty of time to warm up to the camera. I also shoot with different types of environments/backgrounds for more variety. Similar to the Standard Session but I personally remain involved throughout the proces; from the shoot through the retouching and lab process. 3 looks, unlimited number of shots, 3-4 hour session. I don't schedule more then one session per day for my Deluxe Session which allows for a relaxed and personalized session. I shoot with both indoor studio lighting and with natural light, sometimes a combination of both. I also shoot with different types of environments/backgrounds for more variety. Typically we shoot up to three looks during this session. On average, we'll shoot over 300 images, which allows you plenty of time to warm up to the camera. I will edit and make adjustments to the Raw images before converting them to jpegs. Then your session will be uploaded and posted on my own server, that only you or your agents can access. You will also receive hi resolution images of your session via download, so you can use your images as you wish (usually within 24 hours). If you want to narrow down what's posted, email or call me with your choices and I will revise your online proof pages. If you or your agent prefer hard copy proof sheets, they are available at additional cost. When you've made your two final choices, included are two custom digital images. Basic retouching is done personally by me on these two final choices. Up to 1/2 hour per image, to lessen or eliminate the appearance of wrinkles, blemishes, lines, flyaway hair, whiten teeth and eyes, etc. More complex retouching, if desired, is additional. A price quote will be provided before the work is started. They are prepared to the proper resolution and color profile as required by the labs, then saved as Tiff files and burned onto a CD. Additionally you get an 8X10 hard copy matchprint of each for reference and can take it to the lab of your choice. You also get smaller jpegs of these two images which are resized for online casting websites and/or emailing. Simple is better. Busy patterns like plaids, stripes are too distracting. Having clothing with textures are good. Clothes that drape are better than clinging knits that tend to ride up on the arms, shoulders, and body, creating undesirable lines. Pick colors that are flattering to your skintone and your eyes. Take a look at other headshots to see what colors work. Avoid white please! Don't bring clothers you've had for many years and will look out of date. 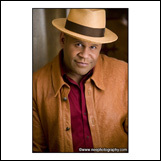 Why take new headshots with clothing from the years past! It may have looked good during the disco era, but ridiculous today. Make sure it fits right. You may have put on a few extra pounds since you purchased that shirt or pants. If it's in your budget, go shopping. Here's a hint: major stores like Nordstroms, Macy's, Banana Republic, let you return items. For women, unless you have thin arms, I recommend you avoid bare arms, like wearing tank tops. You can wear a layer over a tank top however. If men are wearing suit jackets, avoid fine striped patterns. A layered look like color T-shirts with an open shirt works well for men going for a casual look. It's always safe to bring a simple black top or T-shirt too. Floral patterns are generally too busy for headshots. Please avoid logos like, "Nike", "Bebe", etc. If you would prefer to come by and meet me in person, or to see more of my work, please call for an appointment. It is important that you are comfortable with me, and that I feel I can deliver what you desire. If you have a headshot that you absolutely love (even if it's not of you), bring it. Also bring your old headshots even if you don't like them. This will give me an idea of what you like and what you'd like to avoid. Bring CD's (or your iPod) of your favorite music that makes you want to sing and dance. Call me if you are running late. Please confirm your appointment the day before. If you need to reschedule an appointment, I would appreciate at least a 24 hour notice.